so, I'm Mary and I live in Russia as you've already understood. 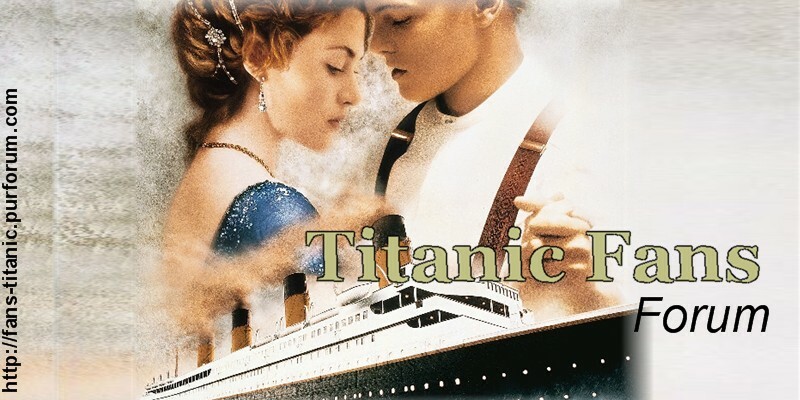 I'm a fan of Titanic movie since it's the first premiere in 1997. it rocked my world! moreover, I'm a fan of Kate Winslet and Leonardo DiCaprio duo lol. I love their Revolutionary road either. hope one day they'll make (an)other film(s) together! recently, I watched Titanic 3D in a cinema. it was brilliant to see it in a big screen and in 3D format!! watching it in 3D I noticed some details that I've never noticed before. moreover, the visual effects look great in 3D! Cameron filmed a masterpiece many years ago and the film proves it again and again! that's all I wanted to say, I suppose.